Nothing conveys the excitement of space exploration like pictures from another planet. Now NASA is planning to go one better than pictures. The space agency is aiming to launch a probe carrying a communication system that will let future missions to Mars transmit live, high definition video to Earth. So when the first person walks on Mars, the live video should be far better than what the world saw when Neil Armstrong stepped onto the moon. NASA has already demonstrated it can now send high definition video from the moon. In 2013, NPR reported on the Lunar Laser Communication Demonstration project. As the name suggests, the system used laser light to transmit a video from the moon to Earth in real time. Using light to transmit information at high speeds is nothing new. You might have fiber optic cables carrying the Internet to your house. But in space, light doesn't travel by cable. A laser is used to send the light signals. Sending a signal from the moon is one thing. Sending one from Mars is much harder. "The biggest challenges, by far, have to do with distance," says Kevin Kelly, CEO of LGS Innovations in Herndon, Va., just outside Washington, D.C. The moon is only about 240,000 miles from Earth. 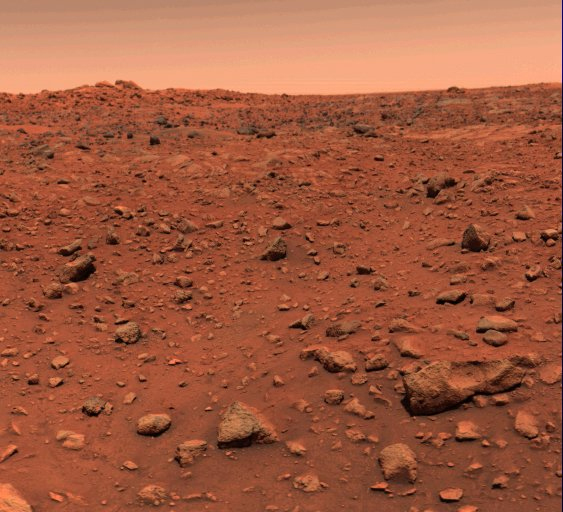 Mars is on average 140 million miles away. 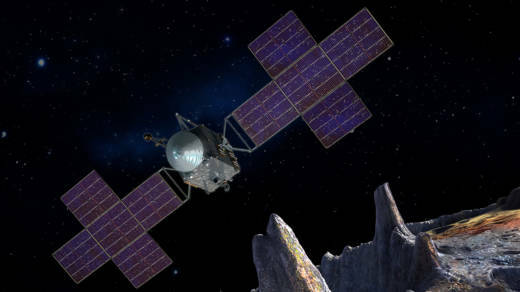 Kelly's company is building a part of the Deep Space Optical Communications package NASA is planning to put on the Psyche mission that will travel out past Mars. From Mars, Earth appears as a small dot. "Keeping [a laser] pointed in the right direction and receiving a strong signal is going to be a physics challenge for sure," Kelly says. There's one curious problem when pointing a laser from such a great distance. Even travelling at the speed of light, a laser beam can take as long as 20 minutes to go from the Earth to Mars. "You may receive the signal from the Earth, but you can just point back in the direction that you got the signal from," says David Israel, principal investigator on NASA's Laser Communications Relay Demonstration mission. Because by the time your transmission gets to where the Earth is, the Earth has moved out of the beam. You have to point it to where the Earth is going to be when the light signal arrives. This "point ahead" system is like throwing a pass to a receiver in football. If the receiver is running down the field, the quarterback has to throw it to where the receiver is going to be when the ball gets there. One of the challenges of deep space laser communications is capturing all the light that's sent. To do that, NASA will be using the historic 200-inch Hale telescope on Mt. Palomar in California. The captured light will go into a detector that's being built at NASA's Jet Propulsion Laboratory in Pasadena. The detectors can measure a single photon of light. "With these detectors we can detect these very faint signals that are going to coming back from this laser transmitter," says JPL physicist Matt Shaw. NASA's not just interested in using laser communication from deep space. Laser systems can transmit much more data than a radio signal, so they could replace traditional radios on spacecraft. At MIT's Lincoln Laboratory, engineers are building a miniature system they're planning to send into low Earth orbit space next year. "The data rates that we're aiming for this demonstration are 200 gigabits per second, 200 billion bits per second," says Brian Robinson, associate group leader of the optical communications technology group at the lab. And with a laser in low Earth orbit, you don't need a big telescope to capture the photons. "Between 4 to 8 inches," he says, "maybe as large as a foot. In other words, about the size of a hobbyist's telescope." Using light to transmit data and video may be the future of space communications, but it's actually quite an old idea. Alexander Graham Bell, the inventor who brought us the telephone, built something called the photophone in the 1880s that transmitted sound using light from the sun. "Bell demonstrated it right here in Washington, D.C., between a laboratory that was on the roof of a school just near the White House over to his laboratory that was just a few blocks away," says LGS Innovations' Kelly. Talk about an inventor ahead of his time. NASA plans to launch its new deep space laser communication system in 2022.